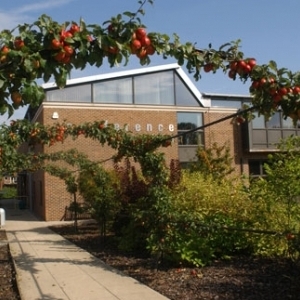 The ICT for Education national conference programme reaches Maidstone on 07 March 2014 at The Orchards Events Venue (formerly the East Malling Conference Centre). School collaboration is a favourite topic in Kent and its schools, but what is the point? Why should we bother with collaborating? Aren’t we all busy enough already? This presentation will explore the benefits of collaboration and some of the ICT tools that can support collaborative working in Kent schools. Over the past year, Rob has overseen iPad and Microsoft Surface rollouts at two of the trust’s academies. He is now working on phase two of an Android tablet rollout and a bring-your-own-devices scheme, all of which he will detail in his presentation. Rob Davies is director of learning, IT, for the Learning Schools Trust. He was appointed in January 2012 having previously been assistant principal of learning technologies at the Open Academy in Norwich. Rob is responsible for the strategic planning of technology in teaching in line with the values of the Trust and for developing students as independent learners. This includes advising on IT procurement and the development of CPD programmes covering the innovative use of 1-1 devices in teaching. Rob started teaching in 2004 at King Edward VI School in Bury St Edmunds as a business studies teacher. He rose quickly to subject leader, improving student attainment and writing a number of reviews for the TES as well as being invited to take part in a British Council tour of schools in Shanghai. In 2008, Rob was appointed assistant principal at the Open Academy in Norwich, where he oversaw a 30% improvement in Mathematics A*-C grades in his first year. Rob was then tasked with devising and managing the procurement and implementation of a £1.6 million IT solution for the new Academy building, one of the most technologically advanced in the region. By train it is a 15 minute walk from the station in East Malling village.